Yvonne Cosler returned to Lyndhurst Guest House in Kendal just two years ago but the handsome, Victorian seven-bedroomed property has been providing holiday accommodation under the charity "making space" for around ten years. Originally trained as a lawyer, Yvonne is from a small village near Cologne, Germany but is now firmly rooted in Kendal. "I have completely fallen in love with the lifestyle here; it's a town but feels like a village as there is such a strong sense of community. We are so close to the Lake District which is a huge pull for our B&B guests." "I'm seeing around 45% of repeat business which is great. During the quieter winter months of January and February we had some guests here for business and last minute weekend breaks. Visitors are a mixture of real 'outdoorsy types', the serious walkers and climbers as well as those who are happy to meander about the lovely countryside." Before signing up for freetobook's online booking engine, Yvonne was juggling two booking system alongside one paper diary which was proving to be problematic. "There was a lot of room for error and double booking. Having freetobook's instant booking and integrated online diary means it's now a very slick operation" she says. "I can now work anywhere with just a tablet. Before I started using freetobook I would stop answering the phone at really busy times as I didn't want to have to recalculate my occupancy … which makes no business sense at all. I can't recommend freetobook highly enough. It's simple enough for me to use but its complex technology means it can be adapted to suit all kinds of booking criteria including terms and conditions, special offers, discount codes and promotional extras." Yvonne manages the entire business operation of the guest house herself, from marketing to managing the accounts. 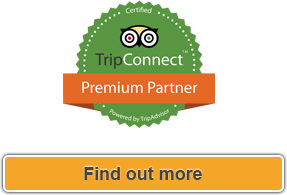 "I've started working with a hotel industry consultant and I'm a member of Cumbria Tourism. I'm also using Facebook and Twitter to help promote what's going on in the area and to help boost my reviews. 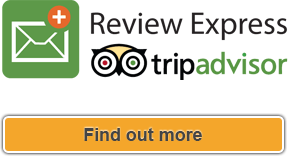 TripAdvisor is a really important tool as one great review can bring in 15 new bookings." Yvonne's gregarious and unique personality along with her incredibly warm welcome comes through strongly in her glowing reviews. Describing herself as a 'vicious crocheter' she jokes, "If you stand in my hallway for longer than five minutes you will wearing hand-made legwarmers." 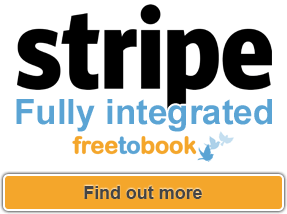 "I can't recommend freetobook highly enough. It's simple enough for me to use but its complex technology means it can be adapted to suit all kinds of booking criteria..."